Members receive an elite coaching experience from their own home! Elite snappers across the nation seek out Special Teams University because Coach Stelter focuses on your ultimate goals: playing college football and in the NFL. What separates Special Teams U from the rest is the extreme focus on detail and the consistency of coaching. Every long snapper will learn every tiny detail of the snap through the multi-faceted approach to the Special Teams U Membership. Take a look at what it includes below! Each member gets one virtual lesson each month where they meet face to face with Coach Stelter through FaceTime or Skype that includes corrections and changes to improve snapping form. Only members can send film to a Coach at no extra cost when needed. Coach Stelter receives the video and gives tips and advice for detailed improvements. Every member gets exposure to the next level! 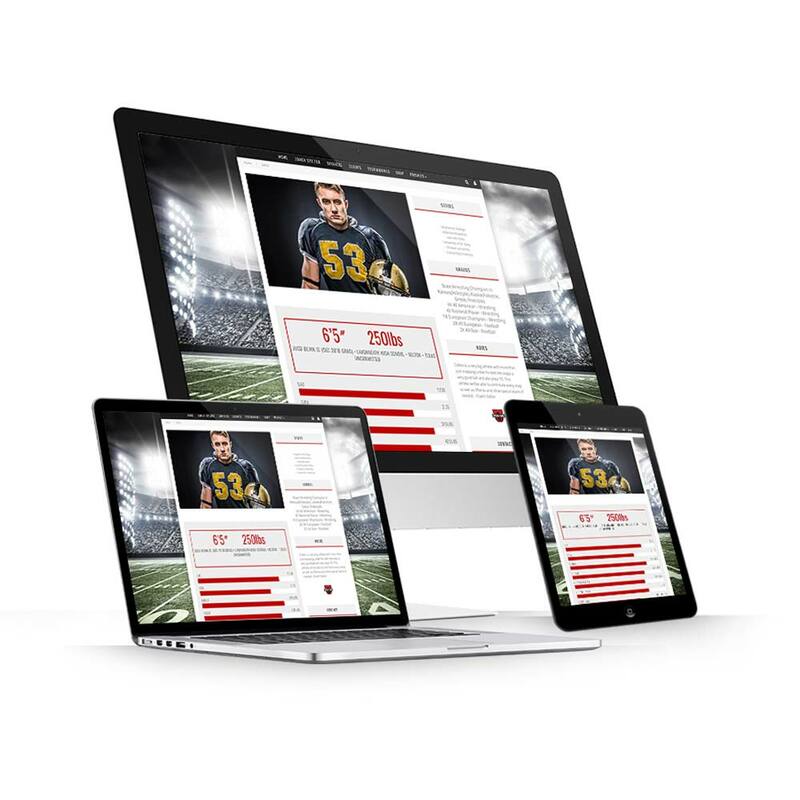 Members receive a custom profile on the Special Teams U website, film posted to the Special Teams U social media accounts, and assistance contacting college coaches! Special Teams U is the only place that actively assists in your exposure. Due to our ability to produce RESULTS, companies like Wilson have reached out to support us! Wilson is the official football of Special Teams U and is used at all lessons. Every Member receives an exclusive discount on all Wilson Football products! Long snapping is a very competitive position, and there are often only subtle differences in blocking technique between snappers on NFL rosters and snappers with day jobs. Unfortunately, the styles and techniques taught in the pros are frequently different than what is, and what is not taught in college. Fortunately for Special Teams University members, we teach these NFL techniques ahead of your pro day, so you’ll have a leg up on your competition! Coach Stelter has connections with NFL Agents and experience in the NFL agent selection process and will help you find the representation that is right for you when the time comes. Special Teams University is synonymous with senior games. Almost every senior game has a Special Teams U long snapper annually. When you combine RESULTS with connections, good things happen. Coach Stelter has built a network with NFL teams to the point where they reach out to him every year for his list of snappers. Seems like a good list to be on! Coach Stelter started his long-snapping career at the Division III level and overturned many stones on his way to earning legitimate NFL opportunities. With that experience, he will help you find the easiest path in your own journey. How do Virtual Lessons Work? Every month, members will send film to Coach Stelter. He will review the film, and a time will be scheduled to meet via FaceTime or Skype. This call can be done at home, or from the couch--anywhere really!--as long as the reception is good and the athlete can take notes. During this call, Coach Stelter will go over technique flaws, corrections, and drills to perform in order to improve going forward. Additionally, demonstrations, videos, and explanations will be provided for every detail discussed. It’s the athlete’s job to take what is learned and implement it into their routine. If there are any issues, members can send film at any time to get feedback. With each lesson and film session, steady improvement will follow! I started working with coach Stelter this past summer in Austin with the private lessons and it was the best decision I have made for my career. After the private lessons shortly after I purchased the 4 month membership for the upcoming season. I was in competition for the starting spot and with the help of coach Stelter I won the spot and started the whole season. It did not just stop there though we where in contact every week, he is always quick to reply and interested in how you’re doing. We continued to work throughout the season and I improved and became more confident in my abilities each game. I recommend this service to anyone that wants to bring their snapping to the next level and have a coach that genuinely cares about your performance other than just being a number at some other camp. I will also be continuing to work with coach Stelter to continue perfecting my craft! I went to several camps from January to July 2017 and felt like I improved as a snapper, until I spent two days with Coach Stelter. I went in thinking I was throwing that at 35mph with decent accuracy, and also used a “release point” to finish with a lot of physical effort in my snaps. Now, I snap with less effort and average around 38 mph with excellent accuracy. I saw more improvement in two days with Special Teams U than I did over a 7-month stretch with 5 different camps/coaches. I’ve totally transformed in all aspects of my long snapping during my time with Special Teams U! Real results happy with Coach Stelter. With spring practice (OTAs, mini camps) now finished in my 3rd year. I want to take the time to send a huge appreciation to my man Kyle Stelter founder and owner of Special Teams University. Those who may not know, I had never snapped a ball in a football game, up till last off season, since 10th grade in high school. Last off-season I made a conscious effort to improve my snapping, but I was still focused on playing my natural linebacker/core special team positions. Through all of the struggles of last off-season and the hard work I became the full time snapper. Last season was my first doing so and with the help of Vinatieri and Sanchez we became a solid unit. Good enough will never be good enough, when better is required. With Special Teams U and Kyle Stelter…. through 4 virtual sessions…from here in Indianapolis, I was coached to tweak my grip, balance, core activation to make my snap with less effort, my velocity increased dramatically, and my locations and accuracy drastically improved with it. So thank you to Special Teams U for the coaching! Cant wait to see where this season is going to take us! After my stint with the Oakland Raiders, I ordered a Virtual Lesson and learned a ton from Coach Stelter. I learned a better grip for myself and learned how to follow through far more efficiently. I went from being a near one-handed snapper to snapping with both hands with far better control, speed, and consistency. This was all within a few Virtual Lessons. I knew this wasn’t enough though; I had to get with Coach Stelter to see what his training was really about. So I flew into Eau Claire Wisconsin and worked with Coach Stelter for two days. Let me tell you, in those two days I understood why so many were going to him for snapping lessons. In those two days we really hammered away at my technique and really emphasized snapping more efficiently. If you want someone who has made snapping a part of their everyday life talk to Coach Stelter and schedule a Lesson. The man can get all the way down to the physics of ball movement and how placement affects the balls flight and rotation. It was truly a great experience and I came away feeling far more confident. Coach Stelter is definitely someone you want in your corner for snapping advice. Thanks again Coach! Special Teams University members can commit from 3 months of training up to 12 months! Save more money and guarantee your gains with a longer membership. Choose the one-time payment options for the most value! That's a great question that many parents and athletes have. Many athletes have negative idea about virtual coaching because they have never experienced a Virtual Lesson with Coach Stelter! The most detailed lesson you will ever have will come from meeting face to face with the most detailed expert on the subject. Any question you ever had will be answered, and you will learn more in one Virtual Lesson with Coach Stelter than hours on a field at ANY camp. RESULTS happen consistently with Virtual Lessons. How quickly can I improve? If you buy into the process and follow the instructions given, I can promise that you will improve quickly! After our first lesson I can guarantee big changes to your form to help you increase speed, accuracy, and consistency. Through an entire Membership I can promise that you'll look like a whole new snapper no matter what level you were at before! Every long snapper that has gone through Special Teams University has seen MAJOR results! How much exposure will I get? Coach Stelter is known for helping place 100% of his clients that pursue the college level. Through the profile on the Special Teams U website, the exposure through the Special Teams U social media, and the active assistance contacting college coaches. You WILL be noticed by college teams! You're not just another name on a list here, you're part of the family. Can I just watch a Youtube video? Watching videos on youtube can be beneficial if you're watching someone with great technique! The problem is that there are a lot of pretty good snappers that utilize their athleticism more than their technique. Instead of developing bad habits online, just purchase a Membership and ensure you're doing everything correctly! © 2019 Special Teams U Membership.